We live on an amazing planet that enchants us with beauty wherever we would go. We have wonderful forests, majestic rivers, impressive waterfalls, breath taking mountains, and supreme views. Mother Nature was extremely generous with us and we often forget to look out the window and admire her work. It’s time to get our heads out from papers, computers and smartphones, put together our outdoor survival gear, and head to the nearest mountain or forest. Why the gear? Well, Mother Nature may be extremely generous but she is also very whimsical and can trick both the innocent beginner and the experienced outdoors man. Every experienced outdoor adventurer will tell you this: when you go out camping or climbing, you always need to have the outdoor survival gear with you. It’s not for your comfort, but for your survival. In case you get lost or injured you will be able to pull yourself out of a bad situation and ask for help. The only moment you get to realize the real value of your survival gear is when you’re alone, in the middle of nowhere, without any chance of calling for help. Nobody wants you to go through this type of situation but, regardless of your will, it may happen. If you’re not prepared to face it with calm and if you don’t have items like emergency whistle, signal mirror, map, compass, knife, and many others it may be too late. Are you prepared to end up somewhere alone, without being able to help yourself? We are going to talk about the most basic items that should be in your kit. Remember, without these it’s possible you may not make it alive and safe out of a bad situation in the wild. Even though we have cities, roads, cars, latest technologies when we’re in the middle of the civilized world, there are still large surfaces of wild terrain where unprepared people usually get lost. Having the necessary items with you can help the rescue team find you in time. The survival kit varies in size according to the space you have available in your backpack and how much weight you can carry. You can bring a large outdoor survival gear that will make your camping more comfortable or you may simply use an Altoids tin to hold your most basic survival gear (fire starters, matches, compass, emergency whistle, water purification tablets, fishing line, rescue mirror, and whatever is small enough to go in the tin). 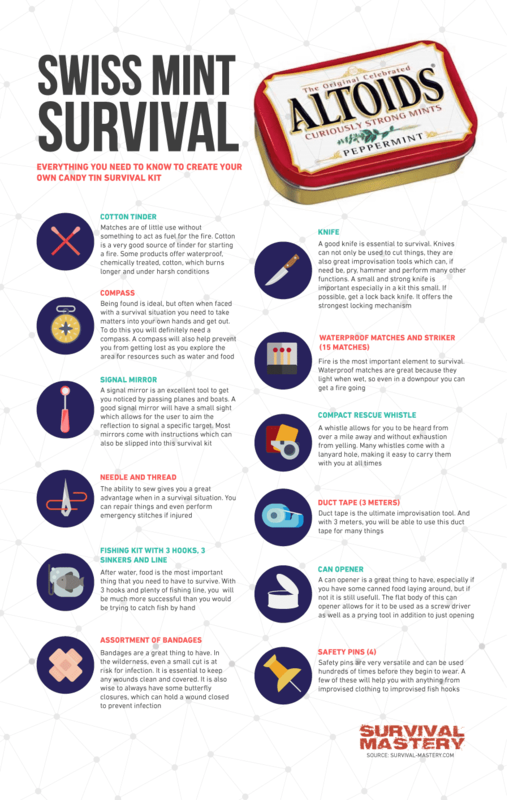 Don’t expect to actually use anything from the survival kit from the first time you get in the outdoor but make sure you have it with you at all times. A compass and a map of the area you are going to explore with roads and access paths are extremely necessary. You will need these items to make sure you are headed in the right direction. For this we found an amazing video tutorial on how to use a compass and a map that will make you understand how things actually work. Of course, you need to know how to use these items before you actually get in the wilderness so practice before you leave home. The most recommended type of map when in the wilderness is the USGS map. The scale is 1:24000 (1 inch on the map represents 24.000 inches in reality) and the map is quite detailed. You can see latitude and longitude coordinates for a better orientation. Make sure that your compass has a rotating dial. This needs to be marked with 360 degrees (2 degrees increment). Also, it would be great if there are meridian lines, makes it easier to use together with the map. There is a difference between the magnetic north and cardinal north which can be misleading. Professional compasses have the possibility to correct this difference. Now, after you’ve chosen your two main elements, the map and the compass, you need to know how to actually use them. 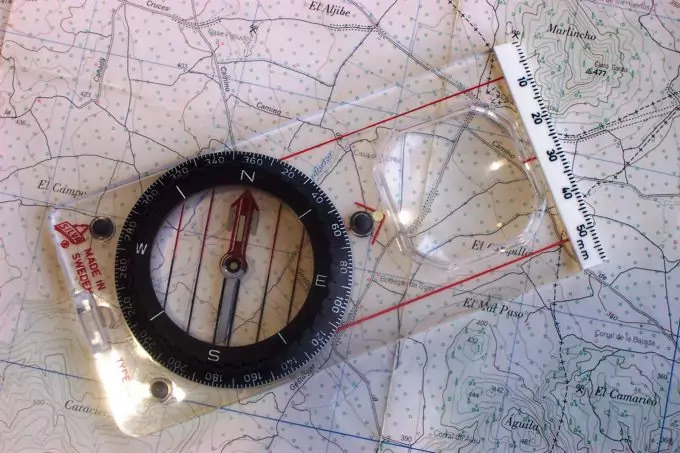 Fear not, you don’t have to figure it by yourself, because we have a detailed article about how to use a compass and a map which will help you greatly. In order to make it in the wilderness, you are going to need a few basic tools. Your outdoor survival gear should include at least one knife for the outdoors and a multi-tool. 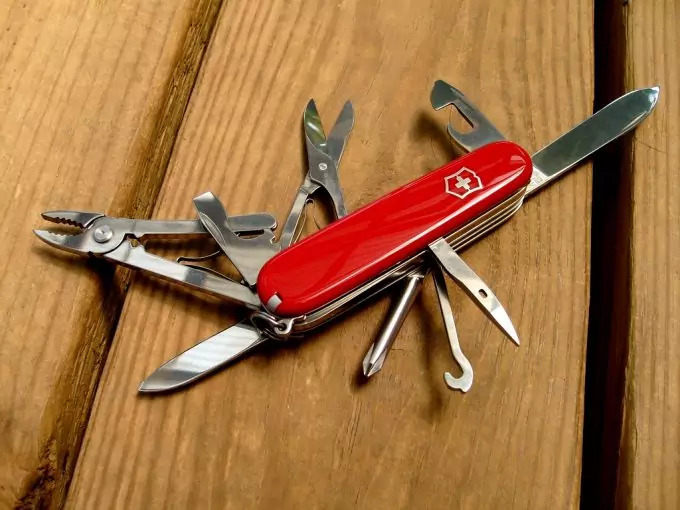 The multi-tool is going to be useful for many activities like opening cans, cutting food, opening bottles, carving branches, fixing things and so on. To know which one is best suited for your needs, read out in-depth article about the best survival multi tools, which also contains a list of reviews to make your pick easier. The other best friend you need in your outdoor survival kit is the fixed blade knife. It is recommended to have a professional outdoor knife as they are built especially for this kind of activities. How is the knife going to be useful in the outdoor? Anytime you need to cut something (clothing, bandages, packages) your knife will be the first thing you reach for. Professional knives need to be well maintained in order to be useful. Make sure you clean its blade after every use and before you leave for an adventure make sure it’s sharpened. A blunt blade won’t do you any good. If you are having a hard time choosing the best fixed blade knife for you, don’t miss our great article about their features along with the best options on the market. 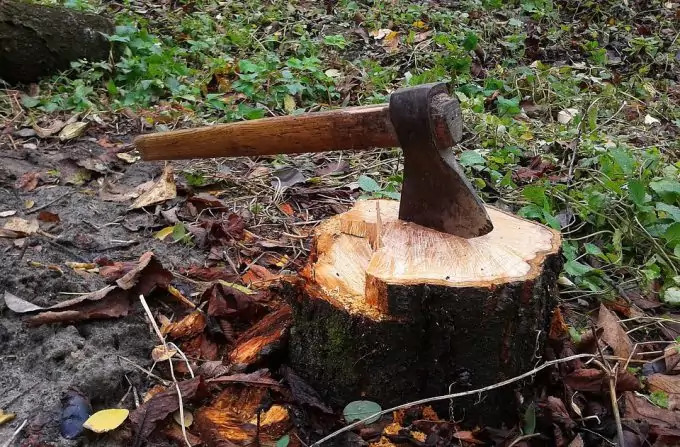 Another tool that is extremely useful when in the woods is an axe. This is not an absolute necessity if you have the knife, but if you have room in your backpack and you can carry it, you should take it with you. It’s very helpful at cutting bigger branches for fire and cutting logs from fallen down trees. Never leave home without having signaling equipment in your outdoor survival kit. Signaling equipment means items that you can use to communicate with other people in case of an emergency. The best item in this situation would be a cell phone with signal and battery but don’t put all your hopes in only one item. Signaling mirror – these are very useful to signal aircraft for help. There is a special way you can use it in order to signal an S.O.S. so the pilot knows someone is in trouble. Even if it can’t land in your area, the pilot will contact authorities and give them your exact location. Buy a mirror that has instructions of use engraved on the back so you don’t forget how to use it. 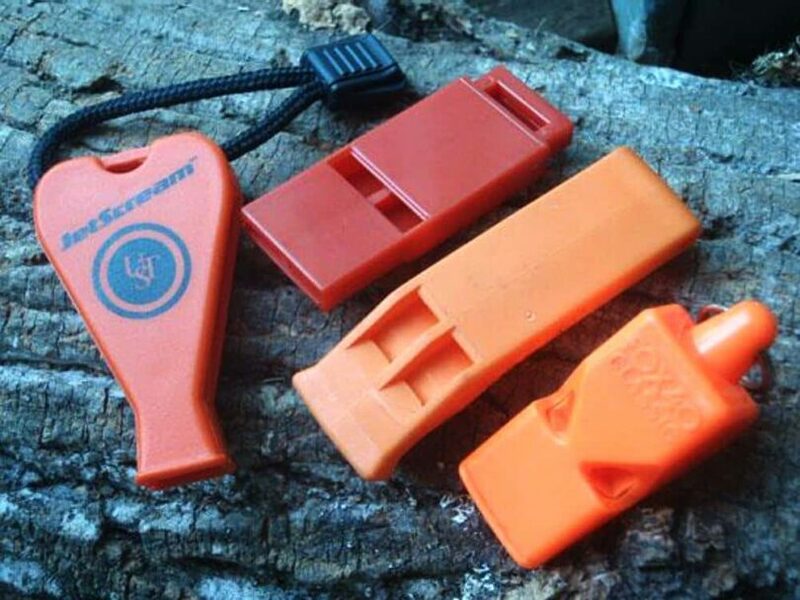 Emergency whistle – these are special whistles, loud and resistant to shocks. Using these you can help a rescue team find you in time or you can attract other camper’s attention and let them know you’re in danger. Flashlight – use it to signal in Morse code (of course you should know how). Signal fire – if none of the above are available, you should at least have matches and fire starters. Make a fire and put green leaves and twigs on it to make a lot of smoke. This way you’ll keep yourself warm until the rescue team arrives. If you’re not the kind of guy who carries tents into the woods, you should at least have the equipment and material to build a shelter. First of all, you need a good quality sleeping bag that is adaptable according to the environmental temperature. Still, the bag alone is not going to do you any much good if it rains or if there’s a drop in temperature. 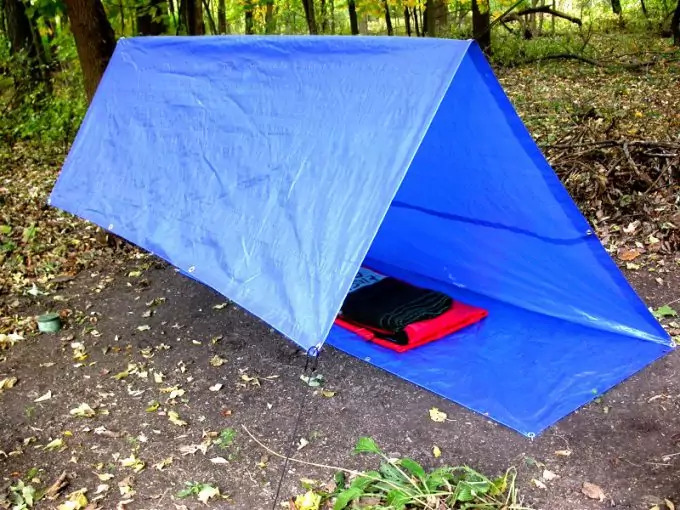 Sleeping under the clear sky can be a very exciting adventure during warm, summer nights but otherwise you need to have at least a tarp, some rope and a tool. Shelter improvisations are easy to make. Try to find a few sturdy branches that you can use to make the skeleton of your shelter and put them in place using rope. 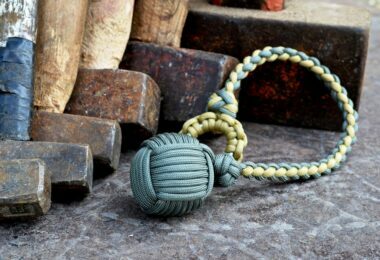 If you don’t like wearing a big hunk of rope with you, learn how to make paracord bracelets and / or belts. You never know when you need some rope in the woods. After everything is in place, put the tarp over the entire construction and use some more rope to tie it to the closest trees. It’s not much of a shelter, is true, but it will keep you dry and it will protect you from wind. These days you can find different types of tents in specialized stores, allowing you to choose from different models, sizes, weight categories and so on. We recommend anyone to take a tent when in the outdoor, it’s safer and it is best to use for shelter. Still, the nature of the situation might not allow you to have a shelter with you, in which case you can read all about how to build a shelter in our survival guide about getting yourself out of the elements. 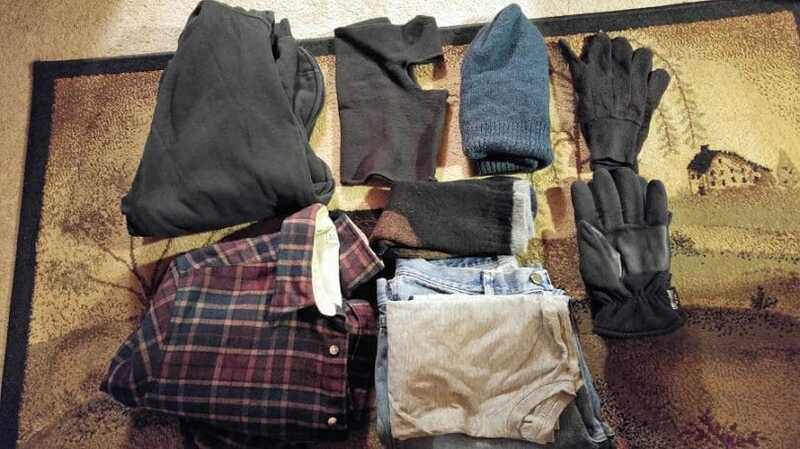 These are other items that you shouldn’t even think about leaving home without. 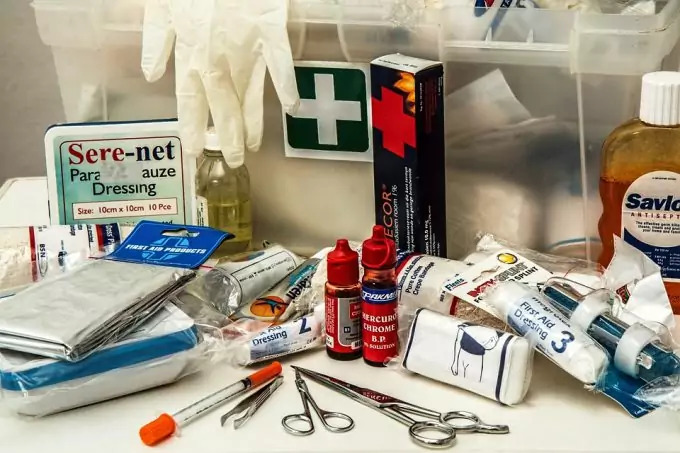 You don’t need a big first aid kit, just the basic items to be able to take care of wounds until you reach civilization. Make sure you have fresh bandages, gauze, alcohol, cleaning wipes, and anything you find useful. We already have a few good picks for you to help you make your decision easier. If the first aid kit’s absence may somehow be accepted, without water you’ll die. Plain simple! Buy yourself a special container, made out of metal so it doesn’t puncture easily and try to find one with an integrated filtering system. A good choice is lifestraw personal water filter which we covered in detail in this article. If you remain without water, you can help yourself out of a spring or even a puddle. Don’t forget about purifying water tablets. These are as important as the filtering system. Actually they are less expensive so if you’re on a budget you can give up on the filtering system. We already have a great article about how water purification tablets work and a list of good choices for you. 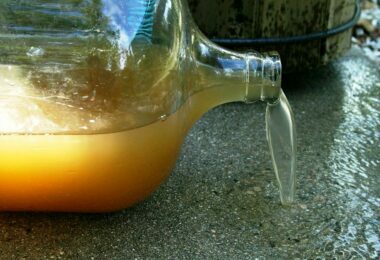 Remember: drinking clean water is extremely important! Don’t let the beautiful weather full you. Even if it is summer and it hasn’t rained for days, the weather can change in a matter of hours. Check the weather forecast for the area you are going to before leaving home and include a change of clean clothes (shirt, pants, underwear, socks) in your backpack. You’ll be thankful when you get all wet and you can change in dry clothes in the woods. Also don’t forget about your head. A hat or a beanie will protect you from sun during the day and it will keep you warm during the night. If you choose the right backpack for you, your outdoor adventures will be more fun. It’s hard to enjoy the beauty of nature when your shoulders scream for help and your back hurts. Try to make your trips more enjoyable by choosing the right gear. It may seem a bit steep at first but this equipment is made to last so you only buy it once. 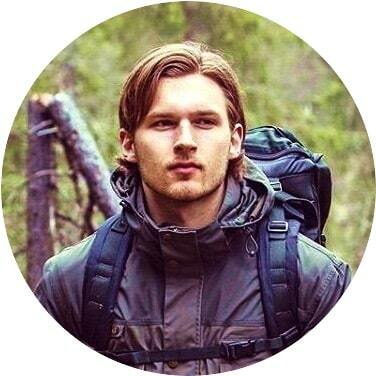 The wisest decision can only be made when you are informed, so take a look at our best survival backpack tips, how to chose, what good options are available for you on the market and what suits you better. 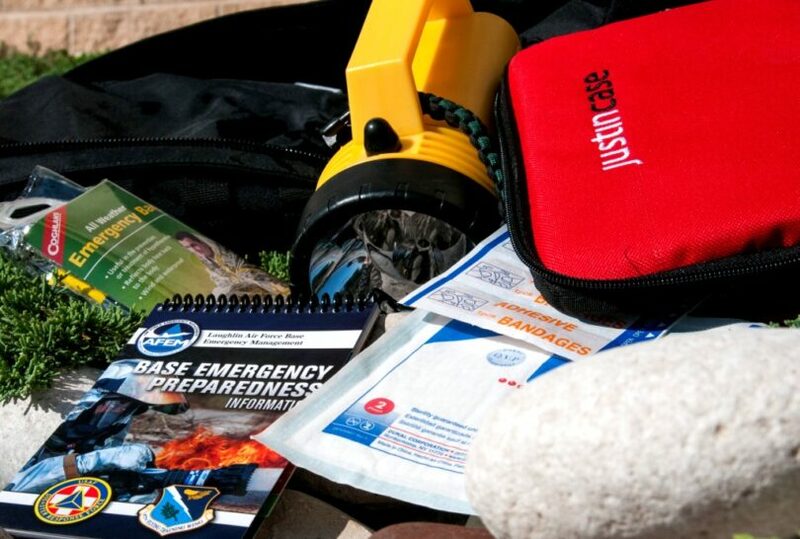 These are the most basic elements your outdoor survival kit should contain. In case you get lost, you’ll have the necessary equipment to get back to the civilized world or in case you get injured, you’ll be able to call for help. It is highly recommended, by experienced outdoorsmen, to take a friend with you. You should never leave alone unless you don’t have a choice. When you’re with someone you can consult on directions, you can discuss alternatives, and combine plans. Also, if one of you gets hurt, the other one can go and call for help. It’s better if one of you has some outdoor experience but even if you are two beginners, it’s better than to be alone. Another good advice is to make sure you always have your survival gear close to you. If it’s in your backpack, don’t leave anywhere without it. You never know how you slip and fall in a ravine and no one will know how to find you. To make sure this never happens, wear your emergency whistle around your neck and get used to wearing items made out of paracord. Your knife should be with you at all times and any other useful item that you can put in a pocket. If you fall in some sort of hole or ravine and you can’t get out without help you can start blowing your whistle. This will alert your friends or people around who will come to check on you. If they can’t get you out, they will call the professionals to come and rescue you. We can help you choose the best whistle for any situation, just have a read on our article about emergency whistles. Survival may depend a lot on will power and strength but having these basic items close can save you a lot of stress and trouble. 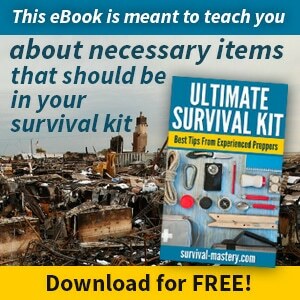 Don’t ignore your outdoor survival kit thinking that it can’t happen to you. Bad things can happen even to experienced outdoor adventurers as the wilderness can be misleading. Many tragedies happened to young people who were simply looking for a bit of adventure and relaxation away from the civilized world. If you’re prepared you can avoid this kind of things. It’s absolutely normal to want to get out from the concrete craziness of town and get deep into the silence and relaxation wood offers you. Still, make sure you act responsible and take all your precautions before taking each step. If it’s hard sometimes to get help in the middle of the city, imagine how hard it is to get rescued from an unknown area. Survival preparedness can be the only thing keeping you alive until the rescue team gets to you.